Part of the tristate area with New Jersey and New York, Connecticut was also part of the original 13 colonies to rebel against Great Britain during the American Revolution. Connecticut still sees ties and traditions linked to a strong background in maritime culture and trade, with its coastal location perfect for Oyster harvesting in the past. In recent polls, the individual per capita income for Connecticut was higher than any state. Some of the industry contributing to this figure are large financial services and sectors in the state. The I-95 is noted as one of the most congested areas within the country, though more additions to public transit and lane sharing with cyclists has relieved some traffic. Earl Henderson Trucking: Become A CDL-A Truck Driver Through Henderson Truckingâ€™s Training Program! 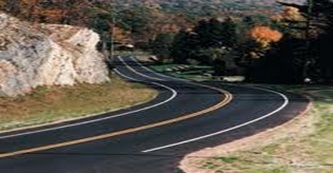 Connecticut is one of the smaller states and although it seems more like a beautiful drive through the countryside than a moneymaking metropolis, it offers the best of both worlds for truck drivers. According to the Bureau of Labor Statistics, Connecticut employs 11,830 truck drivers at a $59,000/yr salary earning well above the national average. It's no wonder that Connecticut is a favorite location for truck drivers and there's no reason why it wouldn't be a great destination for you too. There are plenty of truck driver jobs in Connecticut, but the cities with the most jobs include: Bridgeport, New Haven, and Hartford. Whether you want to start narrowing your search to a specific location or keep yourself open to all the available truck driving opportunities in Connecticut, TruckDrivingJobs.com will make your search easier and more efficient on-line. If you go about your job search the traditional way, trucking driving jobs in Connecticut are much harder to find and in today's job market, you have a much stronger advantage by going on-line. Not only the fact that employers no longer conduct their hiring process with piles and files of paper applications, the Internet broadens your career opportunities like never before. With on-line information sources like TruckDrivingJobs.com, the road to your truck driving career will suddenly be put on the fast track to a great Connecticut job. Immediate access to a wider range of immediate job openings. Rather than knocking door-to-door, company-by-company, the Internet brings you all the available jobs in Connecticut at one time. Customize your criteria and compare the details, narrowing your search to the most ideal jobs for you. With hundreds of open positions, you need to focus your efforts on those that fit your needs and qualifications. An online job site can help you compare many details, from pay to benefits to the employer's exact requirements. Below are list of companies currently hiring within connecticut. Call 203-729-4447Based out of Beacon Falls, C Edwards Company owns 717 trucks and primarily transports Building Materials, Construction equipment. Call 860-449-1068Based out of Groton, S & D Transportation owns 352 trucks and transports all kinds of freight. Call 203-888-5239Based out of Oxford, A & R Company owns 598 trucks and primarily transports Petroleum Gas & Natural Gas, Toxic Materials. Call 203-468-6966Based out of East Haven, A Best Buy Premium Fuel & Trucking owns 897 trucks and primarily transports Petroleum Gas & Natural Gas, Garbage, Refuse, Trash, Construction equipment, Toxic Materials. Call 401-596-8111Based out of North Stonington, Eagle Industries owns 986 trucks and primarily transports regular Flatbed & Reefer loads, Machinery, Oversized loads such as Farm Mining or Oilfield equipment. Call 203-389-1506Based out of Woodbridge, F D R Construction owns 713 trucks and primarily transports regular Flatbed & Reefer loads, Construction equipment. Call 518-325-7805Based out of Falls Village, D & C Spread Service owns 398 trucks and primarily transports Dry Van. Call 860-564-7469Based out of Plainfield, C And C Transportation L L C owns 784 trucks and primarily transports regular Flatbed & Reefer loads, various metals such as Brass, Titanium, Copper, Iron, Logs, Poles, Beams, Lumber, Building Materials, Machinery, Oversized loads such as Farm Mining or Oilfield equipment, Garbage, Refuse, Trash, Dry Van, Paper Products. Call 800-246-5242Based out of Plantsville, G&l Water Works Supply owns 950 trucks and primarily transports Construction equipment, CONSTRUCTION SUPPLIES. Call 203-880-5200Based out of Monroe, Fairfield Auction owns 637 trucks and primarily transports Household Goods. Call 860-642-0853Based out of Lebanon, D A K Contracting owns 688 trucks and primarily transports Dirt , Toxic Materials. Call 203-483-0851Based out of Branford, D C Rentals owns 116 trucks and primarily transports regular Flatbed & Reefer loads, various metals such as Brass, Titanium, Copper, Iron, Car hauling, Machinery, Oversized loads such as Farm Mining or Oilfield equipment. Call 860-428-5333Based out of Brooklyn, M And E Transportation owns 138 trucks and primarily transports regular Flatbed & Reefer loads, YARD Hazmat materialsR. Call 203-934-7632Based out of Bethany, A D R Perfetto Dist owns 210 trucks and primarily transports Beverages. Call 860-767-8256Based out of Essex, Underwater Construction owns 982 trucks and primarily transports Building Materials, DIVE Equipment. Call 860-739-3986Based out of East Lyme, R D Mfg owns 882 trucks and transports all kinds of freight. Call 860-604-0453Based out of Stafford, J & D Trucking owns 866 trucks and primarily transports regular Flatbed & Reefer loads, various metals such as Brass, Titanium, Copper, Iron, Car hauling, Building Materials, Fresh Produce, Beverages, Paper Products. Call 203-327-6153Based out of Stanford, G R Lyons Trucking owns 899 trucks and primarily transports regular Flatbed & Reefer loads, various metals such as Brass, Titanium, Copper, Iron, Logs, Poles, Beams, Lumber, Building Materials, Machinery, Oversized loads such as Farm Mining or Oilfield equipment, Intermodal Containers, U.S. Mail, Construction equipment. Call 860-742-1694Based out of Coventry, C N Electric Company owns 217 trucks and primarily transports regular Flatbed & Reefer loads, Logs, Poles, Beams, Lumber, Building Materials, Construction equipment. Call 860-848-3714Based out of Montville, B & D Auto Body owns 261 trucks and primarily transports Car hauling. Call 860-872-8489Based out of Tolland, S & D Construction owns 447 trucks and primarily transports Building Materials, Machinery, Oversized loads such as Farm Mining or Oilfield equipment, Construction equipment. Call 203-627-7408Based out of Hamdenq, D & M Trucking owns 126 trucks and primarily transports SALT Sand Dirt & Gravel. Call 860-974-3775Based out of Pomfret Ctr, C & K I Trucking owns 412 trucks and primarily transports various metals such as Brass, Titanium, Copper, Iron, Logs, Poles, Beams, Lumber, Garbage, Refuse, Trash, Dry Van, Construction equipment, Toxic Materials. Call 203-232-3926Based out of Oakville, G R Shaw's Hilltop Trucking owns 923 trucks and primarily transports regular Flatbed & Reefer loads, Fresh Produce, Refrigerated Food, Beverages. Call 860-868-4321Based out of Marbledale, Ile De France owns 815 trucks and primarily transports Household Goods. Call 204-438-2400Based out of Ridgefield, owns 888 trucks and primarily transports various metals such as Brass, Titanium, Copper, Iron. Call 860-567-9279Based out of Litchfield, K&m Hauling owns 422 trucks and primarily transports regular Flatbed & Reefer loads, Car hauling, Building Materials, Machinery, Oversized loads such as Farm Mining or Oilfield equipment, Construction equipment. Call 860-423-1187Based out of Mansfield, T&b Motor Sales And Service owns 296 trucks and primarily transports Reposession & Towing, Mobile Homes, Machinery, Oversized loads such as Farm Mining or Oilfield equipment, HEAVY Equipment. Call 860-698-9743Based out of Somers, S R Transport owns 266 trucks and primarily transports Building Materials, Construction equipment. Call 860-774-0394Based out of Dayville, J & B Transport owns 393 trucks and primarily transports regular Flatbed & Reefer loads, Machinery, Oversized loads such as Farm Mining or Oilfield equipment, Construction equipment. Call 203-777-4265Based out of New Haven, A & B Fuel Oil owns 781 trucks and primarily transports Petroleum Gas & Natural Gas, Toxic Materials. Call 203-723-1545Based out of Watertown, J & D Oil Co owns 769 trucks and primarily transports Petroleum Gas & Natural Gas, #2 HEATING FUEL , Toxic Materials. Call 860-621-0329Based out of Milldale, T C & Sons Trucking owns 184 trucks and primarily transports regular Flatbed & Reefer loads, various metals such as Brass, Titanium, Copper, Iron, Logs, Poles, Beams, Lumber, Building Materials, Machinery, Oversized loads such as Farm Mining or Oilfield equipment, Toxic Materials. Call 203-264-9847Based out of Southbury, H Ryan Builder owns 895 trucks and primarily transports Dirt & Gravel/Sand/STONE. Call 860-349-1021Based out of Durham, L & I Refrigeration owns 99 trucks and primarily transports Machinery, Oversized loads such as Farm Mining or Oilfield equipment, REFRIGERATION Equipment. Call 203-866-1312Based out of Rowayton, F & G Construction owns 334 trucks and primarily transports Machinery, Oversized loads such as Farm Mining or Oilfield equipment, Construction equipment. Call 860-693-3639Based out of Collinsville, Ian P Fluckiger owns 841 trucks and transports all kinds of freight. Call 203-723-2529Based out of Naugatuck, D A Silva Armando owns 436 trucks and primarily transports Building Materials, Construction equipment. Call 860-793-9023Based out of Avon, A & A Construction & Snow Removal owns 523 trucks and primarily transports Building Materials, Machinery, Oversized loads such as Farm Mining or Oilfield equipment. Call 860-892-4540Based out of Lisbon, H N S Transport L L C owns 522 trucks and primarily transports regular Flatbed & Reefer loads, building materials. Call 860-376-9663Based out of Voluntown, L&b Transportation owns 968 trucks and primarily transports various metals such as Brass, Titanium, Copper, Iron, Machinery, Oversized loads such as Farm Mining or Oilfield equipment, SOIL, MULCH. Call 203-938-2504Based out of Redding, Fahan Trucking owns 245 trucks and primarily transports Construction equipment, CONSTRUCTION MATL.